In a new review with Neil Rubenking of PC Magazine, PC Matic 3.0 blocked 100% of the malware samples in testing. With a new review from PC Magazine being released recently, we would like to address some of the concerns that Neil has in his article and any of our customers may have. We’re looking forward to continuing to work with Neil and his team at PC Magazine to continue to improve our product. We’re very pleased to see that PC Matic once again got perfect scores in Neil’s own malware blocking tests, you can view his chart of previous malware tests on competitors here. After our last and first review with PC Magazine, we took the feedback from Neil and went to work improving PC Matic for all of our customers. We introduced PC Matic 3.0 with dark scripting protection, to increase our already perfect protection in Neil’s malware testing. With PC Matic 3.0 we brought in a complete refresh of PC Matic’s user interface. In response to this change Neil said, “The current edition, version 3.0, is significantly toned down.” “Overall, it’s a more professional look.” Along with many other improvements, we always look forward to detailed feedback as we strive to continue to improve PC Matic for our customers. We have broken down some concerns that Neil has below and addressed them for our customers. While Neil is correct that PC Matic did block hundreds of valid programs in Virus Bulletin’s testing, this pales in comparison to the amount of clean software used to test for false positives. In the most recent test with Virus Bulletin, PC Matic flagged 2,174 samples as bad that were in fact good samples. This was 2,174 samples out of a set of 850,000 good samples giving us an accuracy of 99.7%. While the original number of false positives can seem high, it’s important to consider the actual percent when comparing to real world performance. Using the whitelist we often test with less false positives than our competitors have false negatives with a much smaller sample set. Virus Bulletin often tests with around 40,000 or 50,000 malware samples. We at PC Matic know that many other antivirus solutions do use different forms of whitelisting to pair with their other technologies. However, a vast majority of our competitors are offering whitelisting in a reactive approach not a proactive approach. This mean that they are allowing a user to have control over a local whitelist so that any program on the whitelist will not be blocked as a false positive. They are not providing a globally automated whitelist in a proactive default deny approach where anything that is not on the whitelist will not be allowed to run like PC Matic does. Using whitelist based protection, you’re going to be stopping any malware from getting into the machine so one may think that you wouldn’t ever need to run a scan. However, the way that PC Matic fundamentally works requires that you use a scan and clean to remove blocked malware. The reasoning for this stems back to our whitelist based protection. If Super Shield sees an unknown file it will be blocked and not allowed to execute, however it will not be removed from the computer yet because it could be a good file. Once our malware team has categorized the sample as good, it will be allowed to execute across all machines, or bad in which case a malware scan and clean will remove it from the quarantine on the endpoint and clean it up. If we removed unknowns immediately on execution, this would lead to good files being obliterated from the computer while in the unknown state when they should remain. In Neil’s latest review he brings it to a conclusion that PC Matic 3.0 does what it says, our whitelist does block all malware samples that are not on it, which has given us the ability to get perfect scores in testing with Neil as well as Virus Bulletin. “If you’re not bothered by the idea of dealing with false positives, you could give PC Matic a try. The price is certainly right; roughly a quarter the cost of most competing products on a per-device basis.” We absolutely agree Neil, you should give PC Matic a try, we’ll continue to offer you unbeatable protection against malware and give you the ability to whitelist an unknown/false positive in just a few clicks of the mouse, or you can wait for our malware team to take care of it for you! 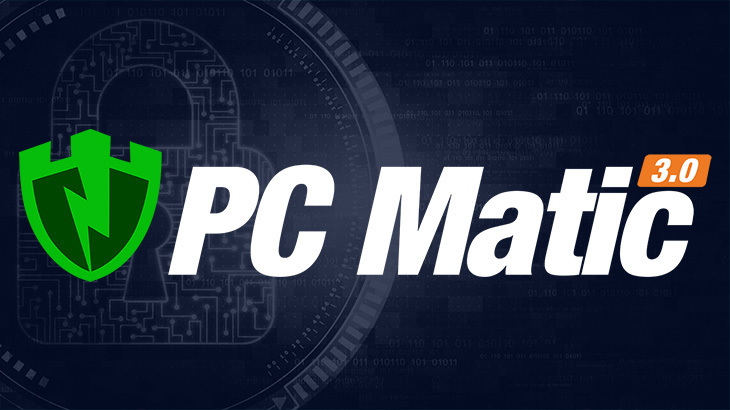 If you would like to read more about PC Matic and our proactive whitelist, click here. You can also read more about PC Matic Pro, available for businesses and government agencies here. I would like to take computer classes that are related to this technology. What would you recommend. I would not use my computer online without PC Matic and Super Shield. They are by far the best I have had since 1990. Their support is the BEST ever. That’s great to hear Ken! Thank you for the amazing feedback, have a wonderful weekend!